1- You have to install any of the Visual Studio software on tour system. 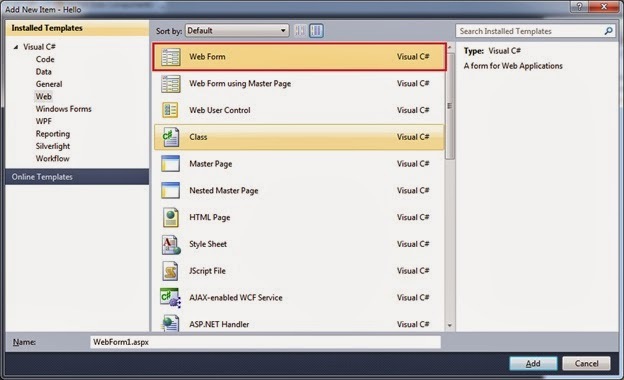 It will give you full package to work with windows and web applications. 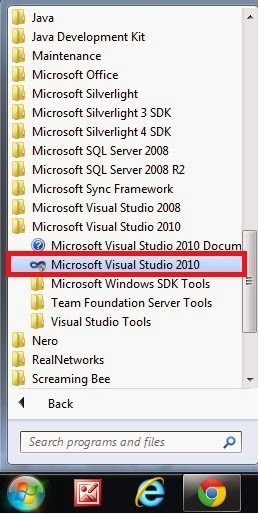 2- I have installed VS2010 in my Laptop, I am going through how you can create a web site in VS2010. 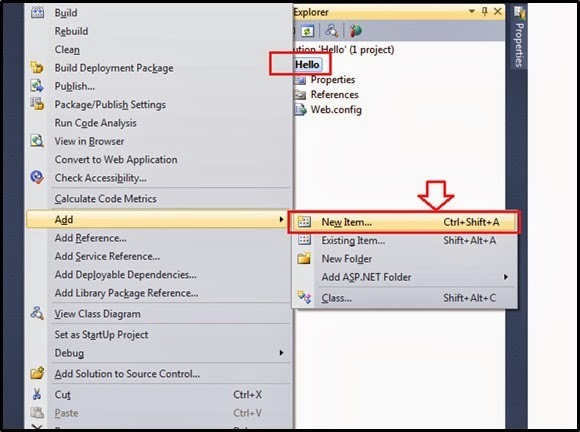 3- Once you install it will appear in your start program like in Image. Just click on the Icon. 5. 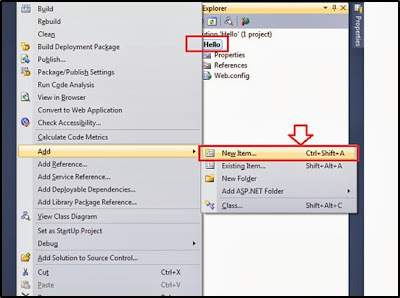 Once you click on the VS icon it starts loading the Visual studio. If you open it first time it ask you for your primary language C# or VB, select on which you think you are comfortable. I have chosen c#, as it is similar to c++ and I am comfortable with it. 6. 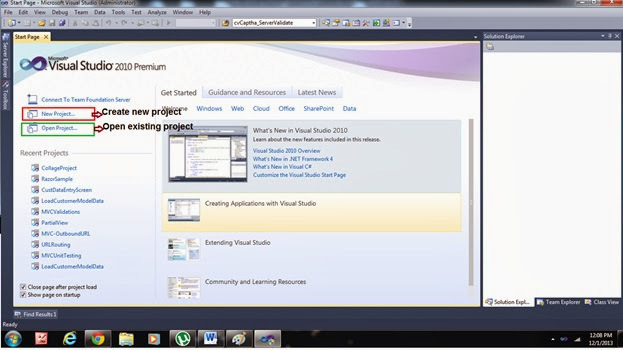 Now the welcome screen of Visual studio has opened. I have marked up the two important operations, either you can open an existing application or you can create a new application. 7. Click on the new project link it will open a new widow as like below image. There are many other options of creating other thing might be you have less as I installed other service pack. 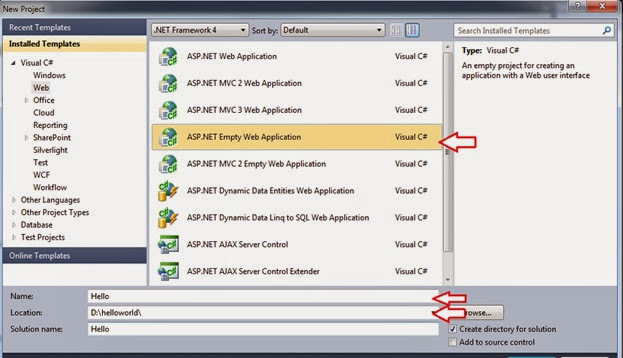 There are two options ASP.Net Web Applications and ASP.Net Empty Web Application for creating website. There, please select the Empty Web Application and provide the name and location to the application which you are creating. 8. Click OK. 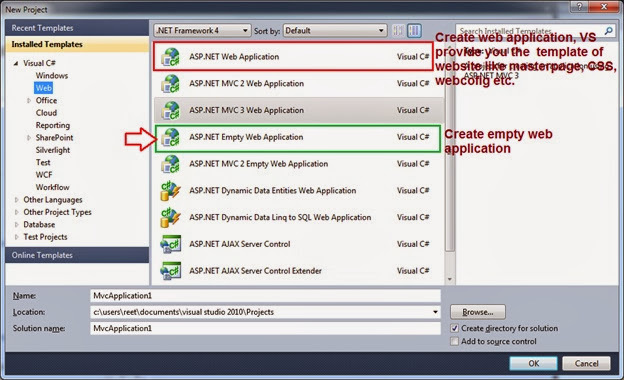 It creates Empty web application which has only one Web.config file and reverence and property folders. As like in Image. 9. Right click on hello and click on add the new file options. 12 to run the application click on the icon given above image or click to F5. 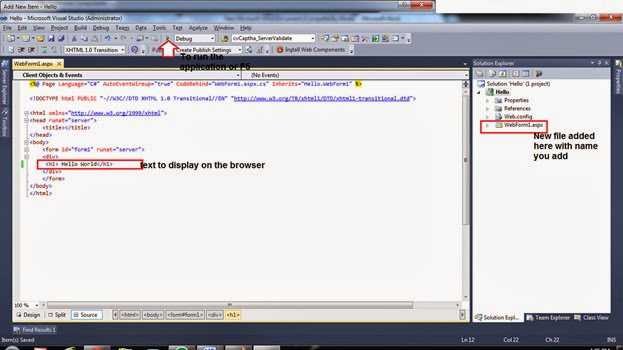 It will show the text written on your web page. 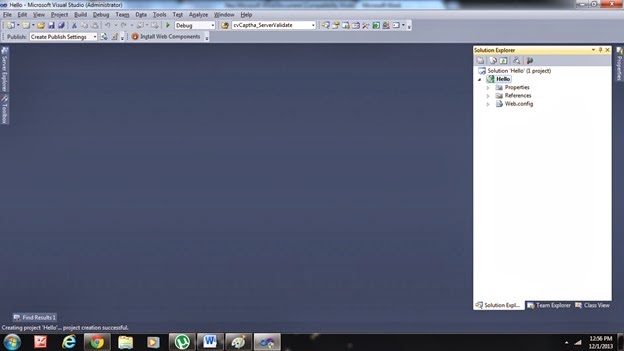 Please see the video how to create website in ASP.Net. To get the detail about control get on another article. To add the control like textbox, button click on another article.